Here at Duration Windows we offer many different glass options ranging from standard clear toughened and float glass to glass for more specific purposes such as our self cleaning glass, solar control glass and textured obscure glass. We offer top quality, high specification glass from some of the leading glass companies, such as Pilkingtons. Our standard double glass unit is argon gas filled (low-E, en=0.05, soft coat), 1.2 centre Pane* U Value. 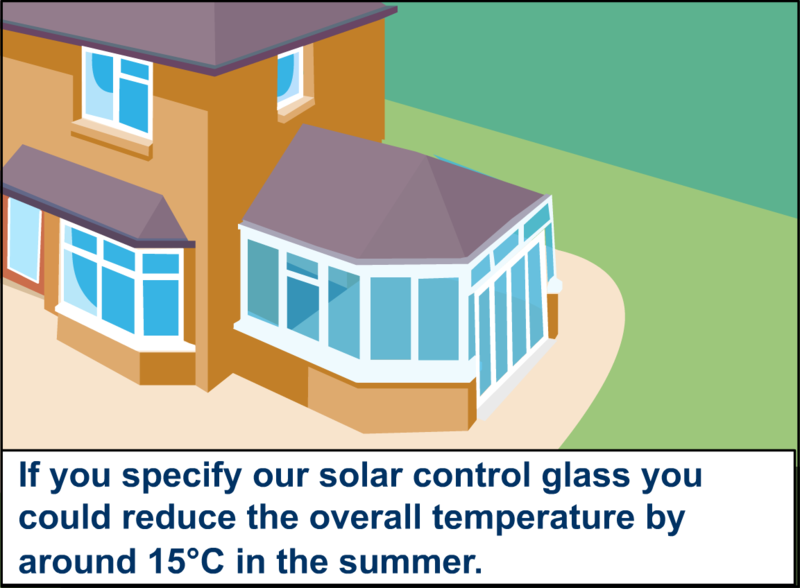 Our Sun-Guard Super Neutral 70, Pilkington Activ™ Blue and Activ™ Neutral offer solar control performance for a cooler internal environment and only cost marginally more than normal glass. 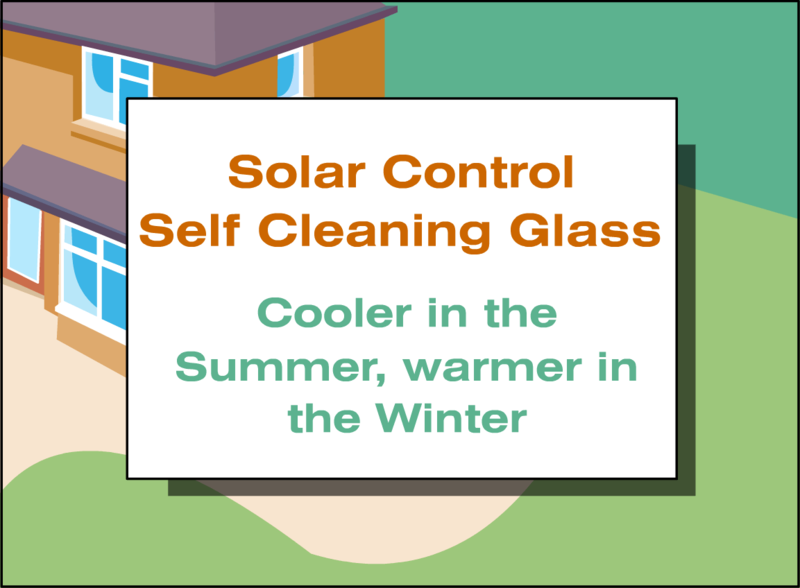 We offer; Sun-Guard Super Neutral 70 (Slight Green Tint) Solar Control Glass and Pilkingtons Activ™ Self Cleaning glass with Solar Control (Activ™ Neutral tinted glass and Activ™ Blue tinted glass). Available colours are slight green tint, Neutral tint or a blue tint. The Coating does not break down and lasts the lifetime of the glass. Even works on cloudy days and during the night. Chemical reaction that uses UV light to break down and detach particles of organic dirt from the glass. More friendly to the environment than ordinary glass. Reduced condensation and reduced glare. Save thousands of pounds on expensive blinds. 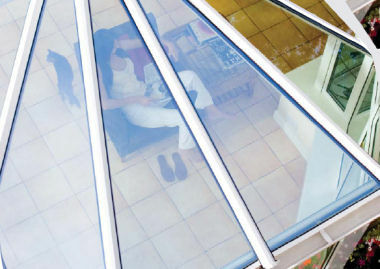 We advise that you come down to our showrooms and see the glass for yourself, as Pilkingtons Activ™ Solar control glass is tinted glass you should see if for yourself. If you come down to our showrooms we can demonstrate the effectiveness of solar control glass with a 250W heat lamp. 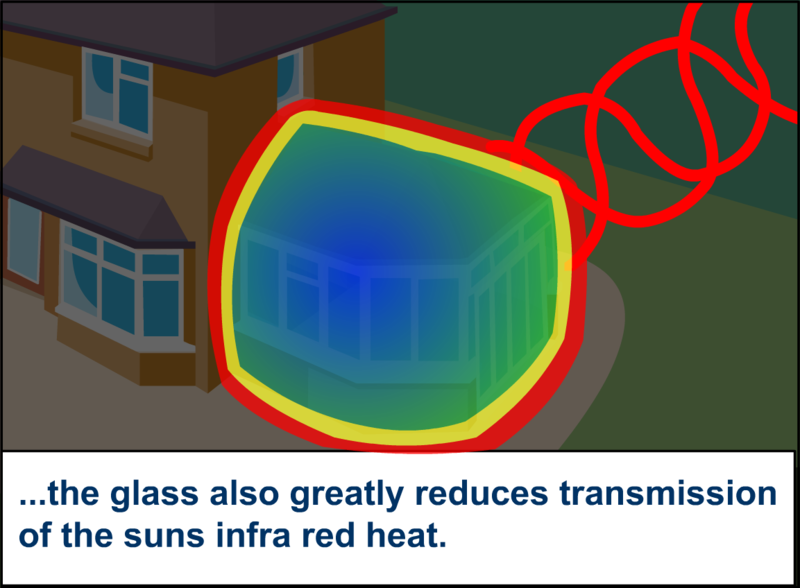 We can take an accurate reading of the heat blocked by the glass using a digital infrared thermometer. 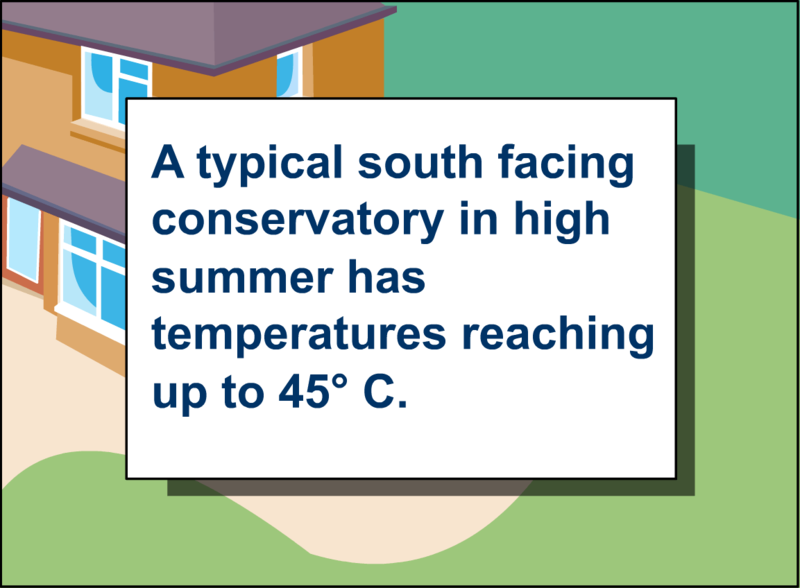 Rooms with a large glass area are known to become too warm in the summer and too cold in the winter, i.e. 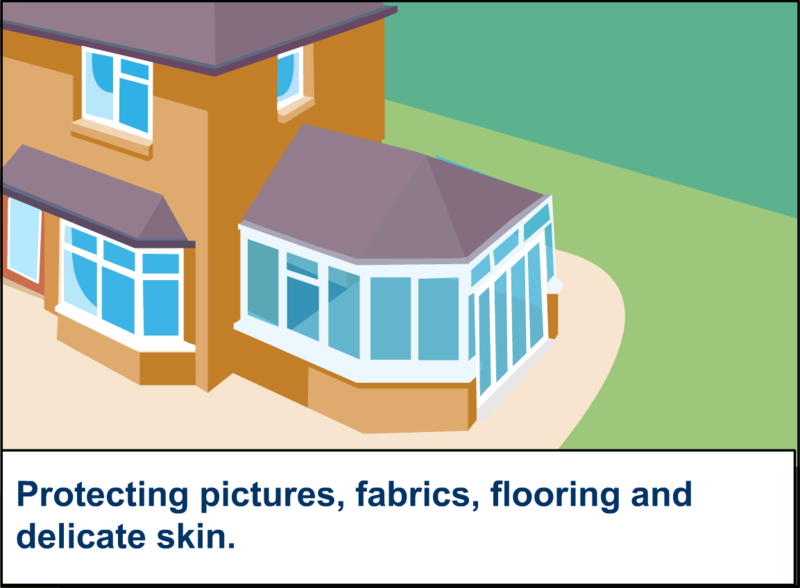 rooms with large Patio doors Bifolding doors and/or large glass roofs (i.e a conservatory). 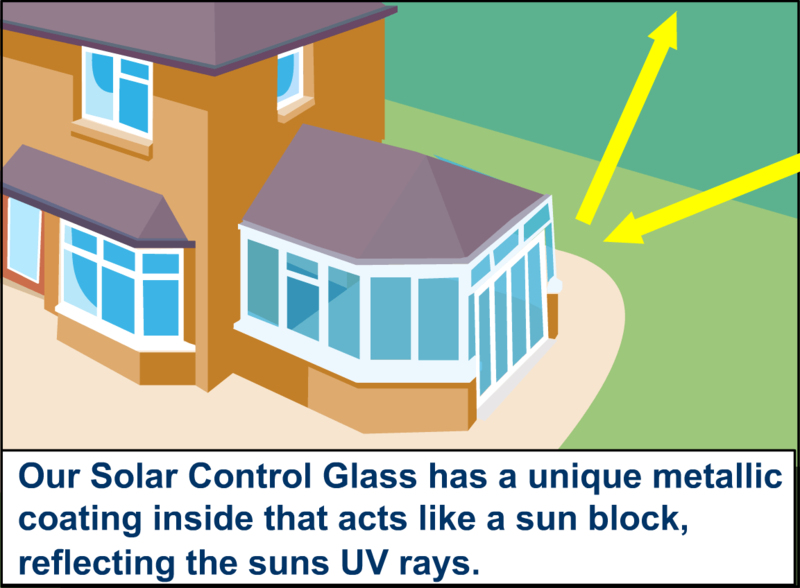 Our Sun-Guard Super Neutral 70 and Pilkingtons Self Cleaning glass with Solar Control, can help to maintain a constant temperature and protect people and furniture from UV rays. All year round the invisible metallic coating and argon filled units reflects around 60% of sun light and blocks upto 75% of the suns infra-red heat. 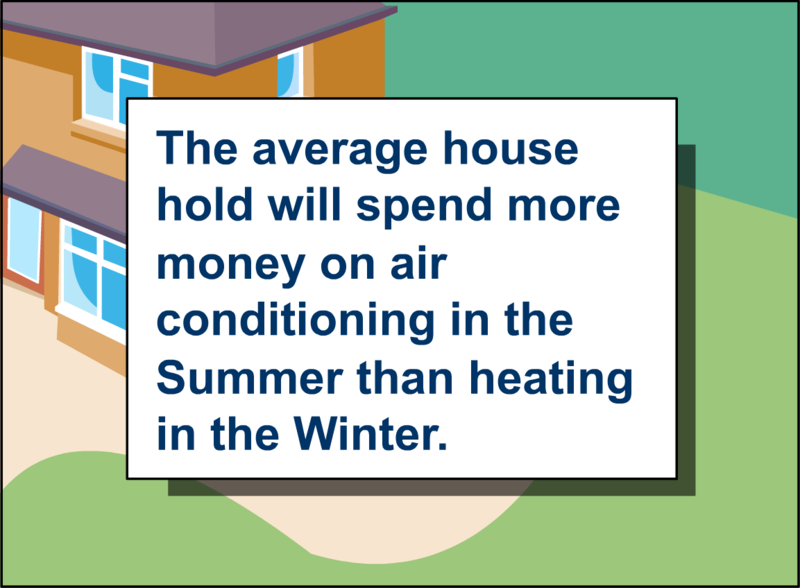 Keeping the room cool in the summer and insulating the heat in the winter. Our Sun-Guard Super Neutral 70 can be used improve the U-values of your windows, if required.